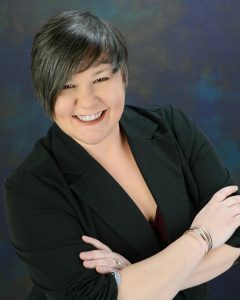 Amanda N. Williams, also known as the Adorkable Translator, is a French to English translator specializing in international business translation with a focus on the fields of corporate communications, accounting/finance, and international trade. She holds a bachelor’s degree in French language and literature and is also a graduate of Georgia State University’s post-graduate professional certificate program in translation. After graduating from GSU, Amanda launched her own translation company, Mirror Image Translations, LLC, which offers French to English translation services. Prior to becoming a freelance translator, Amanda spent six years working for one of the top 100 largest ocean importers into the United States, first in sales, then managing inventory in the operations department, and lastly as trade compliance manager, where she was responsible for creating, implementing and maintaining the company’s import compliance program. Amanda served on the Board of Directors of the Georgia Chapter of the ATA (AAIT) for six years and is an active member of the ATA. Amanda lives in Marietta, Georgia with her husband, son and two cats. She spends her spare time reading and dragging her husband and son all over the world for vacation. Technology and Artificial Intelligence are becoming increasingly language-savvy. As a result, as professional translators, we need to continuously size up and refresh our skills to make sure we still have an edge on Google and DeepL. The less we translate like machines, the better chance we have of not being replaced by machines. Attendees will leave this workshop with a better grasp of how to leverage terminology resources to aid in their translation work, how to take into account syntactical differences to improve translation style, and with more confidence in translating messages and ideas instead of simply words on the page.